Highlite International customer, pro audio and lighting production company Clearsound Productions had been looking for a new video wall to replace an old screen they had in their hire stock. Their search led them to the DMT P12, 5 Pixel Mesh. After a visit and demo of eight panels from Highlite UK’s Dave Drane they made the purchase of 40 panels along with the additional rigging accessories to allow then to configure the panels in to a number of different permutations. Both Dan and Daniel from Clearsound were very impressed by the build quality and brightness of the panels. They found its flexibility allows it the be rigged either by 7.5 or 15 degrees - a great help in offering a curved screen for corporate advertising and large dance events. These are very versatile panels when made into a screen. 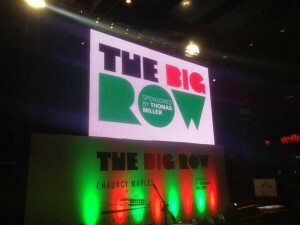 One of the first events the company used the panels on was to make a 16-panel curved screen for the dance event 10:31 at the Rainbow Warehouse in Birmingham. The clients loved the overall effect and asked for it to be used in future events.